Sabai Sabai seem to be spreading faster than Australian Flu. First Moseley, then Harborne and Stratford-Upon-Avon, now the city centre, on Waterloo Street in the bustling business district. The new building is beautiful, an old bank that lends itself to sturdy square proportions with a smart interior of neutral colours and geometric light fittings. It’s sultry and smart, ideal for the targeted clientele of dates and business accounts. It’s a very nice place to have dinner which explains why it is full a couple of weeks after opening. This is an organised outing with other bloggers who all seem to be practicing the fake smiles they will wear when I win Best Food Blog again in June. We are given food and lots of it, too. Some I am familiar with from my local Sabai Sabai in Moseley and some I am not. 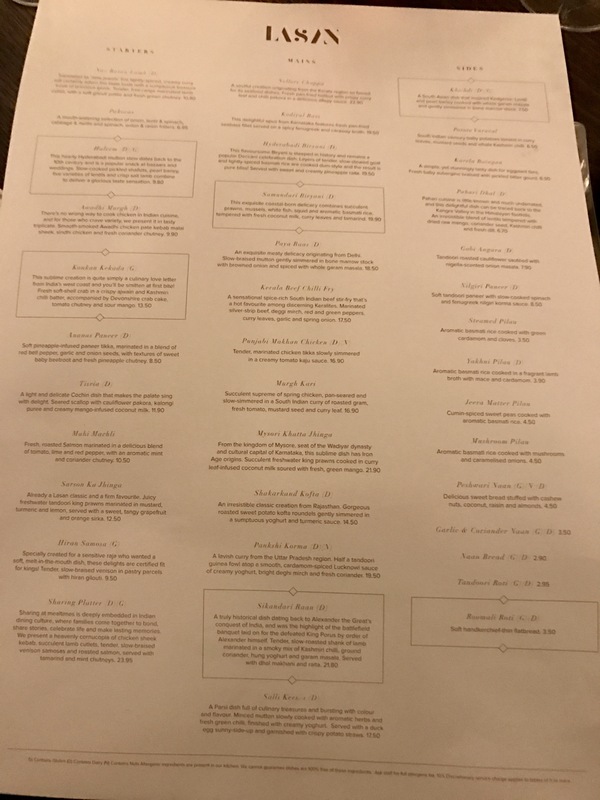 It’s a larger menu here from a larger kitchen. This surprises me little as the kitchen in Moseley is so small you couldn’t swing a cat in there. Not that they would ever allow cats in the kitchen. That’s for a dubious takeaway around the corner to do. From a platter of starters a few dishes stand out. Chicken wings come from a well reared bird, just like my girlfriend, softly braised until the bone slips out cleaner than the gnasher’s of a dental hygienist. It is a side to Thai cooking I’m not au fait with, a delicate cook over a punchy one pan blast and I like it. The flakes of meat and subtle spicing could easily be mistaken for French bistro cooking. A jaunty cut of duck spring roll is better for the proportion. Spring rolls are too often all pastry – here the casing serves as nothing more as a vehicle for a mass of soft duck meat with the occasional bite of al dente veg. Lamb chops have good quality ovine correctly pink whilst pork spare ribs are too saccharine. In every case the spicing whispers rather than shouts. The taste of the protein is king. Now let’s talk beef short rib. Fat, unctuous short rib cooked so softly that the meat can be spooned cleanly away from the bone, in a mellow masaman curry rich with coconut milk. This is show stealer. The must order. It has contrast with every mouthful, real depth and fragrant high points. 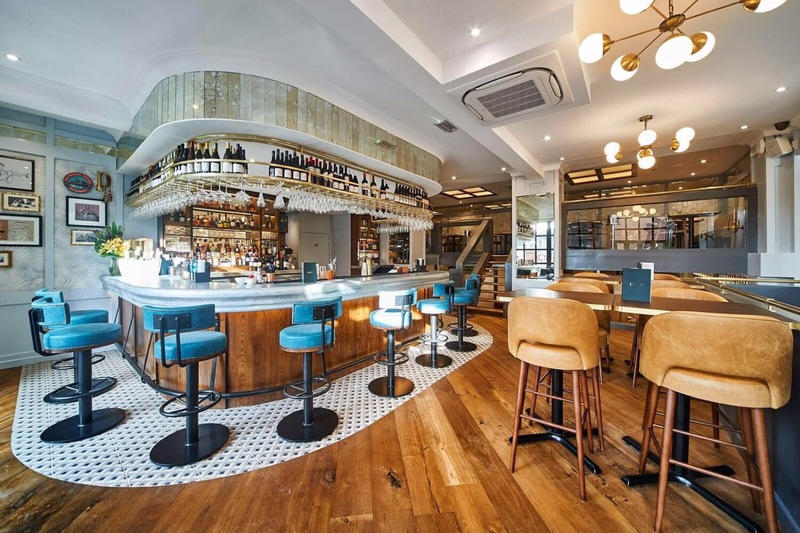 It is one of the finest main courses to be found within the city centre. We look to other dishes once the bone has been scraped clean on the short rib. Pad Thai is all too familiar; silky noodles, soft chicken, the bite of peanuts and raw chilli heat. It’s a classic for a reason. Monkfish and aubergine comes in the most textbook of green curry sauces. All the fundamentals of Thai cooking are present; salty, spicy, sweet and sour, which happen to also be my four favourite Spice Girls. It has bags of personality. We have Weeping Tiger, which contains zero tiger and serves only as a metaphor because it will leave you crying for more. The beef sirloin is accurately cooked to medium rare, coated in a toasted rice powder that punches with umami. I took to Twitter to say it was the best beef since Biggie and Tupac. I will never better that. It goes fantastically well with sprouting broccoli in a puddle of something bright and acidic. This quantity of food leaves no room and we settle for a well made espresso martini to send us on our way. Sabai Sabai being good is of no surprise, both Harborne and Moseley cook to a very good standard, but this was perhaps the strongest meal yet. The decision to put both North and South Thai chefs in the kitchen has paid off: There are no dud dishes here, the Northern dishes kick with more fire, those from the South fresher. 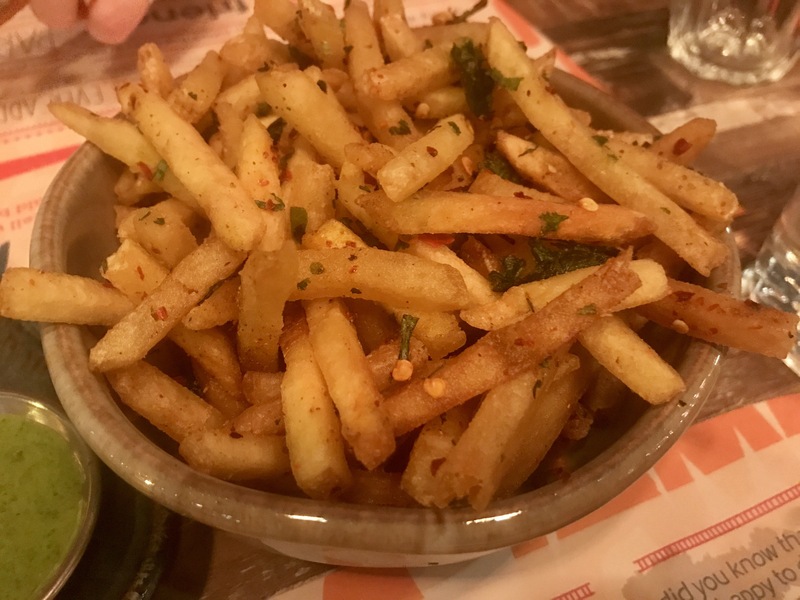 The latest instalment of Sabai Sabai is a brilliant addition to the city. The meal was complimentary as part of an event organised by Delicious PR. It is impossible to mention the new Lasan without referring to the old. 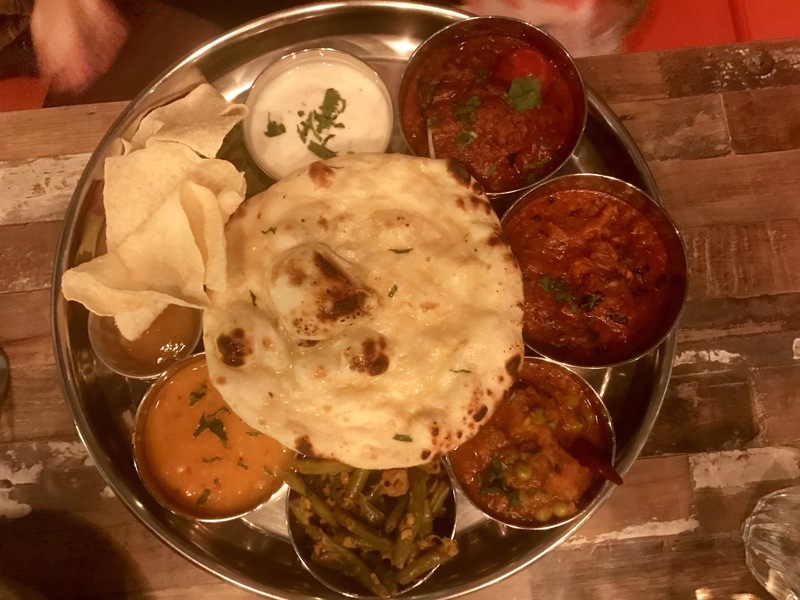 It is a restaurant that I am very familiar with, one widely regarded as the best of it’s kind in this city, thanks in part to it’s association with TV food mahatma, Aktar Islam. Aktar has now parted with the group and the restaurant has had a well needed spruce. Gone are the hard wooden lines and non-existent lighting, in comes a softer, more approachable look of pastels and patterns. It’s almost colonial in feel, like they play fine jazz to those awaiting food on the curved bar that sits adjacent to the dining room. And they do play jazz. I’m a massive fan of the refit. Without wishing to play down the offering, you get the feel that the chase of a Michelin star has gone, replaced with a desire to feed with more traditional methods whilst still keeping to the refined style that has made it so popular. This is reflected with an ease to the service; staff are happy to chat, some dishes are rustic in their presentation. 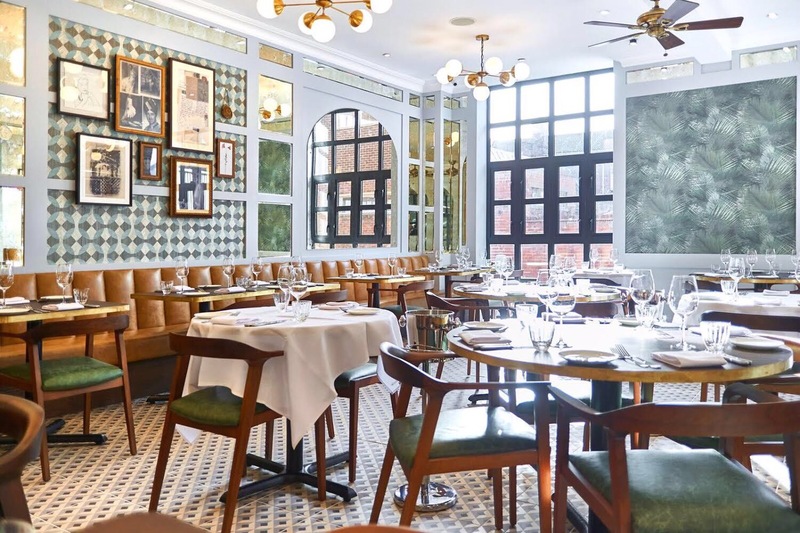 It’s less stuffy and more congenial – a place to return to time over rather than just special occasions. Accolades are excellent, but it’s paying customers that pay the bills. 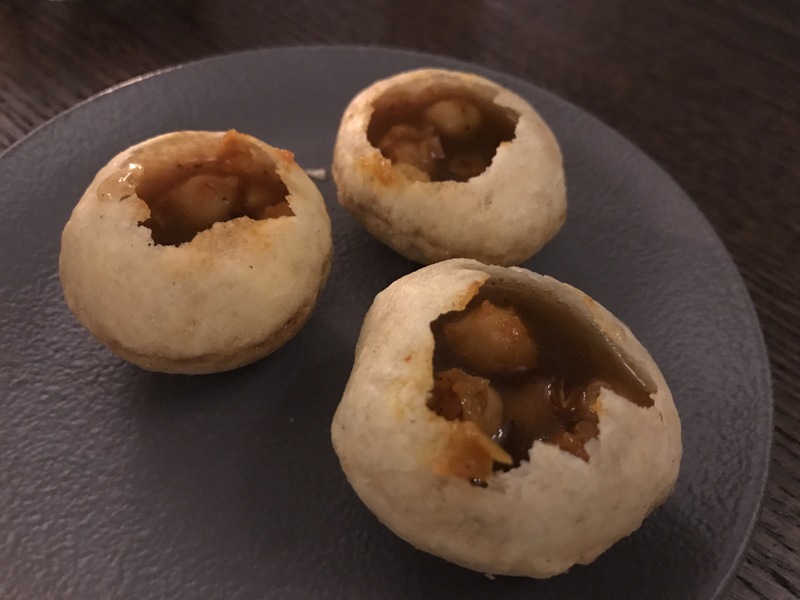 It starts as it always has, with umami bombs of pani puri, filled to the brim with a pungent tamarind water and as good as they ever get. These come with greaseless poppadoms and dips to range from a familiar made from mango to a pineapple one that’s new to me. 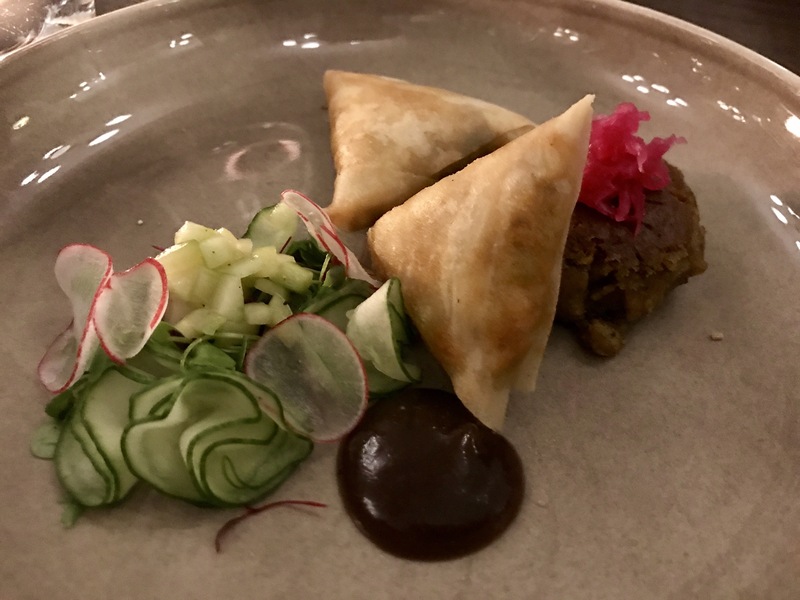 We try samosas made with the lightest of filo pastry, the filling of minced venison more than capable of standing up to the spicing. Another starter of chicken is a solid piece of workmanship. 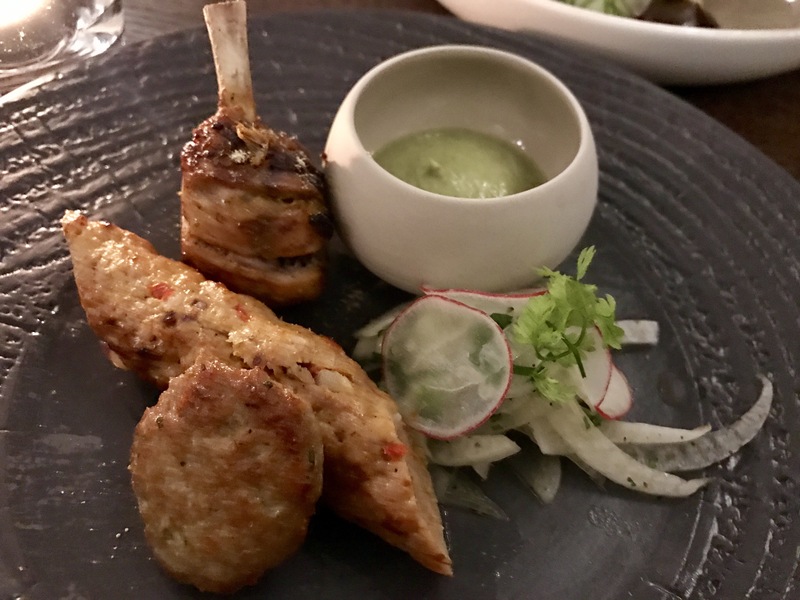 From the kebab made with coarsely ground mince, to the paté patty with the background funk of offal, and precisely trimmed drumstick, it sings with deft spices and well judged heat. 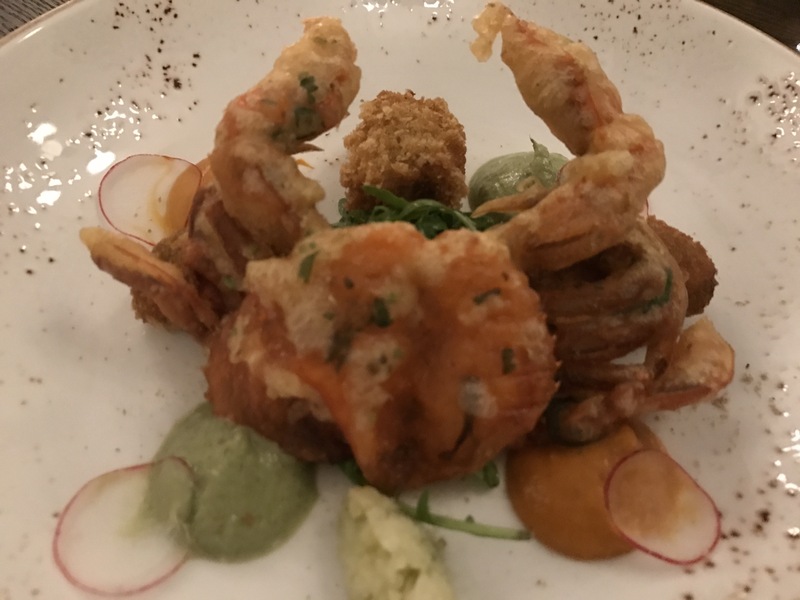 Soft shell crab has the lightest of chilli batter that packs the biggest of flavour, with a crab cake packed with brown meat that reinforces the crustacean flavour. It’s hard to pick fault with any of the starters. Looking back, I can think of no fault at all. 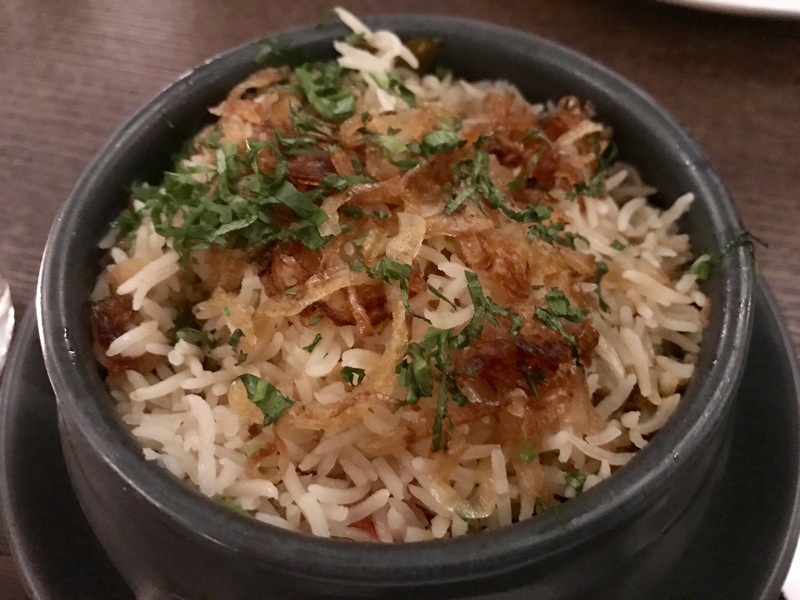 The biriyani that follows has cubes of goat at the base, braised so that they collapse under the interagation of the fork, with a dry curry that packs real power and crowned with a flurry of rice, crisp shallots, and herbs. I wish that the dish arrived wearing a pastry cap so that the aromas are released tableside, but this is a small detail given the quality of it all. 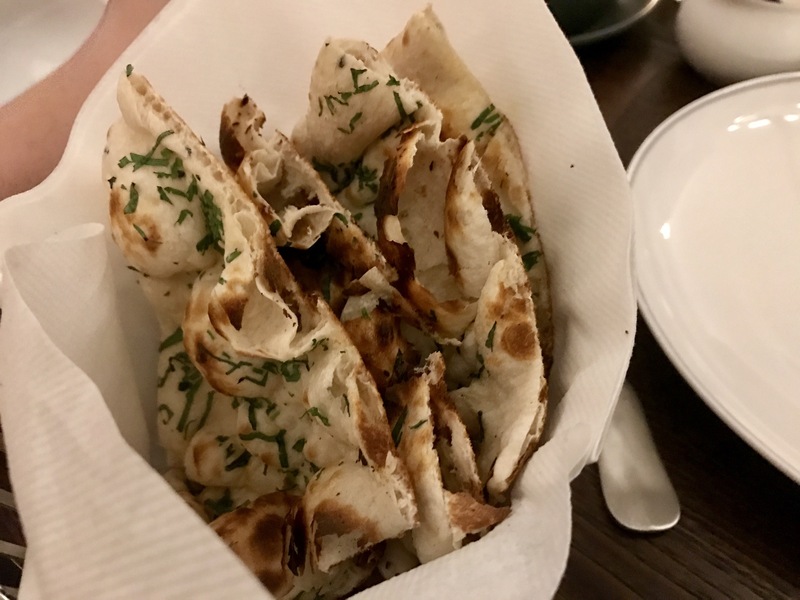 We scoop on to excellent garlic naan, and, even better, roomali roti that is so thin it could be parchment paper. It’s great to see this bread, the most tricky to make, being properly showcased. A steel tray comes bearing a shank of lamb, coated in marinade and slowly cooked. It’s an accurate bit of cooking; the meat coming away from the bone with ease. Pickled onions have enough astringency to cut through the chilli heat, with pots of raita and dhal for light and shade. 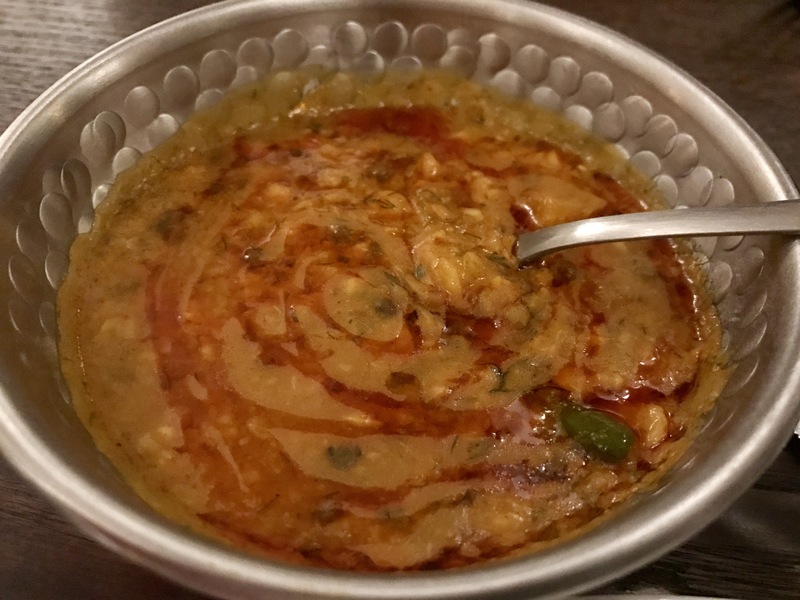 That dhal returns in a larger pot – it has to, it’s glorious. As good as any dhal I’ve eaten anywhere. The lentils slow cooked and as smokey as a jazz club. Dessert course defeats us, and I sense a dissapointment from the waitress that we are really missing out on something. It’s okay, we’ll be back. Soon. This was my most consistent meal here to date, wholesome and confident in it’s new identity on the plate and in it’s space. 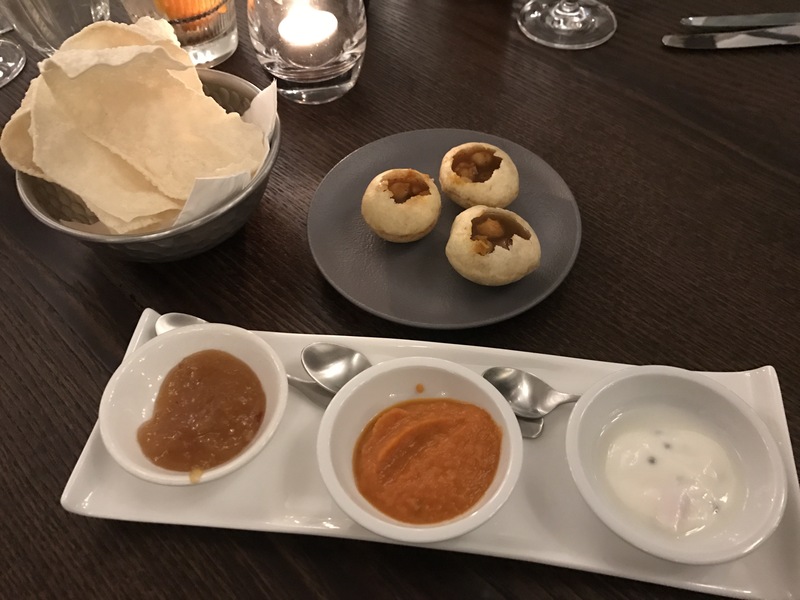 I have no doubt at all that Lasan is currently the best Indian we have in Birmingham. Another week, another opening of somewhere hyperactive on colour offering Indian street food. We’ve a lot of these in Birmingham now, with even more to come. Latest addition to the chaat show is Tamatanga, a bright and loud space that has blasted down the M42 from Nottingham. It’s a try hard kind of place, where lights dangle from the ceilings and illuminated slogans fight for space on walls. 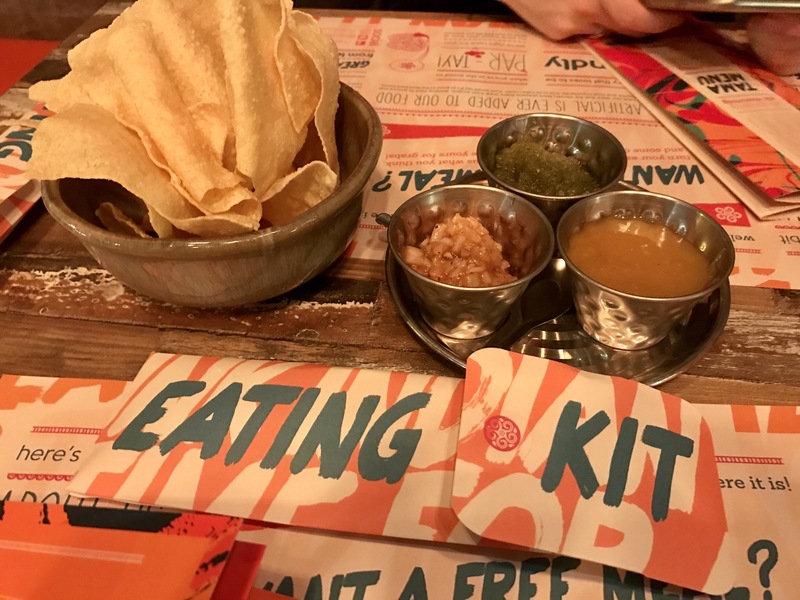 They have cocktails with chillies in and things they call ‘Eating Kits’ – cutlery to you and I – a phrase that makes me want to remove the pointy one of the three and stab myself repeatedly in the eye. I personally don’t like the room, it’s too busy and my mind cannot settle. But what for me is a migraine in waiting will be to others their ideal dining room, even if that audience is half my age and twice as optimistic. Before I go on the type of bashing spree not seen since Negan started waving Lucile around on Walking Dead, let me tell you about the positives. The staff are brilliant; warm and well trained, they are a credit to the business. 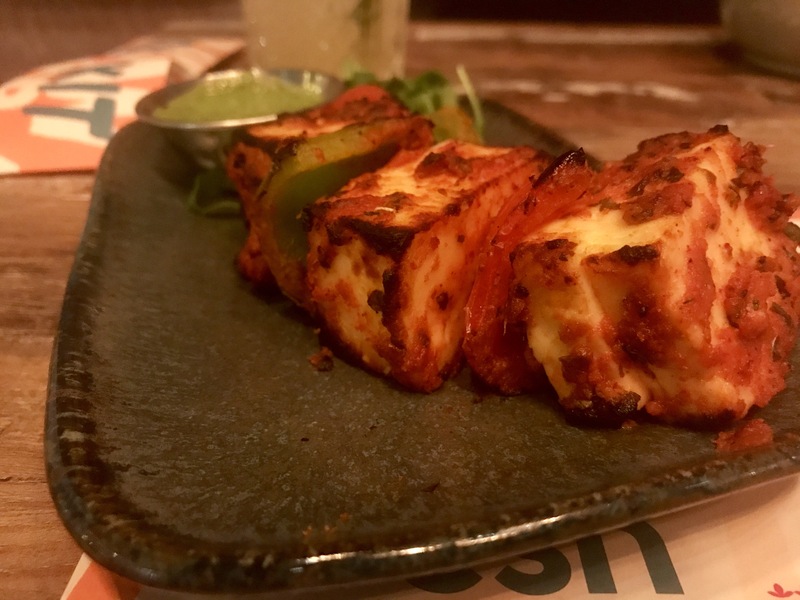 And the paneer was as good as any I have ever eaten anywhere. Large cubes of the bland cheese marinated and blasted with heat, these are well balanced in flavour and texture thanks to petals of pepper that still have bite and substance. I would say that I would order these again and again, but that would be a lie as I have no intention of ever going back. 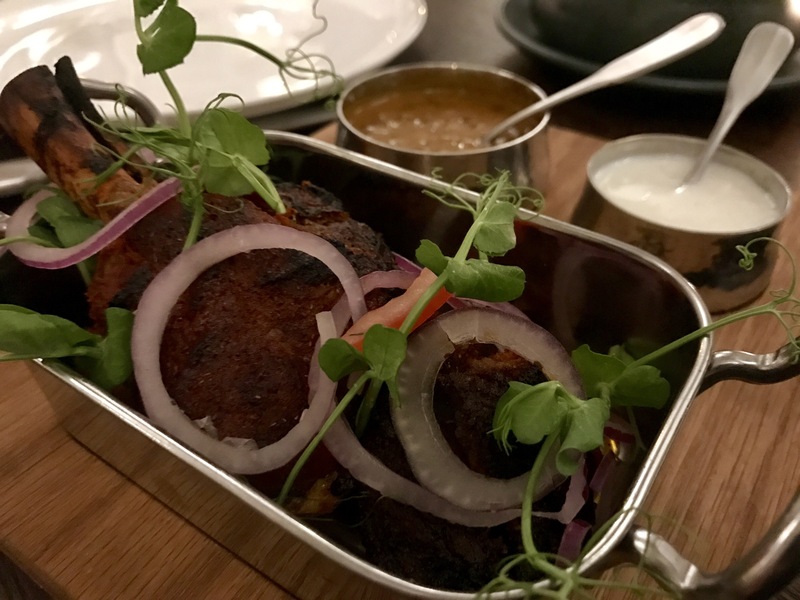 The rest of it can be imagined in your heads if you take a Turtle Bay and replace their mediocre take on Caribbean food with equally mediocre Indian. It’s food without complexity, all one-level blasts of flavour. 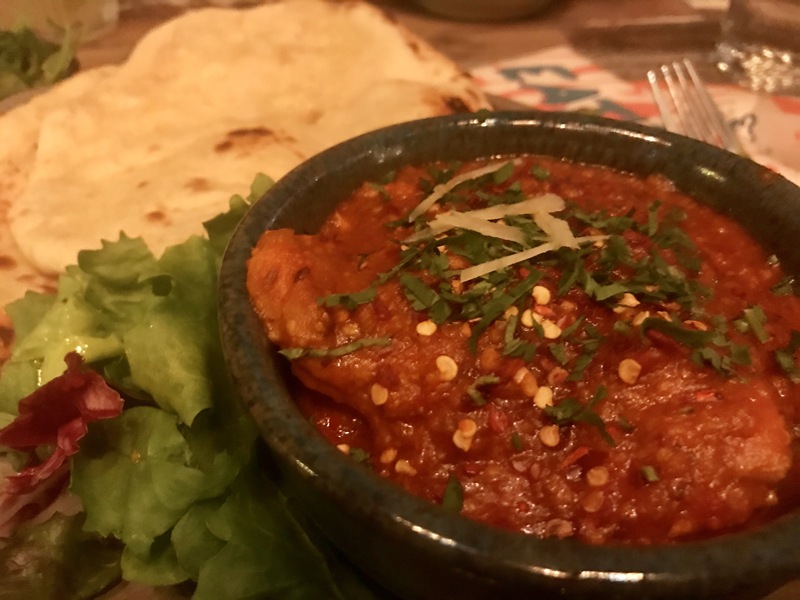 A garlic and chilli curry has plenty of moist pieces of chicken thigh but the sauce is nothing but tomato and chilli flakes. It feels half-arsed. It is served with two peshwari naans which is two too many, being heavy and sickly sweet. The menu tells me that the Tamatanga fries are ‘legendary’. This is a lie. They are about as legendary as I am marriage material. When done properly, I love thali. Meaning that on this occasion I have fallen out of love with thali. It’s a fifteen pound tray of pots with very little to admire. Once again we’re back on the familiar ground a chicken curry with good meat and an unremarkable sauce, only this time its joined by a lamb curry with not very good meat and an unremarkable sauce. Throw in to this tragically overcooked green beans, a tasteless vegetable curry and a dhal even thinner than my hair. It’s a post-Brexit dinner; deflated, with an air of disappointment. Lovely poppadums, though. 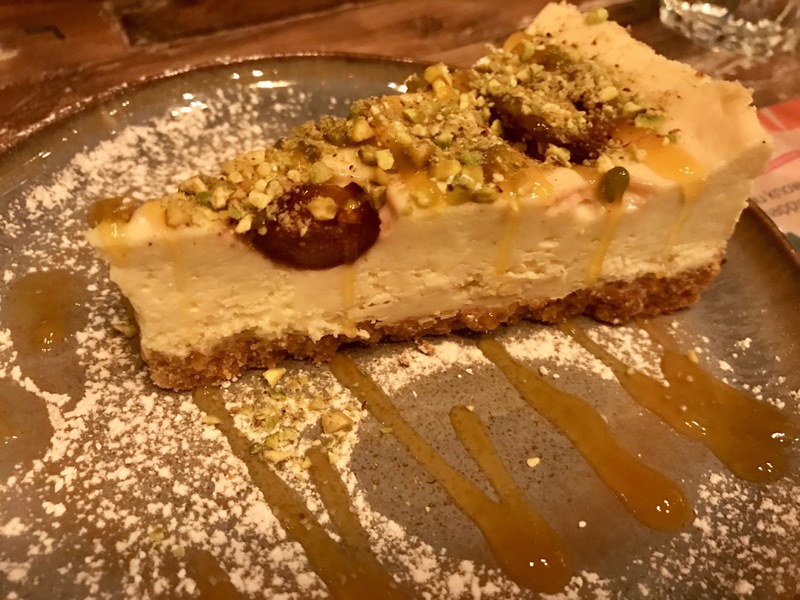 We finish with a sugar concoction that shut down my pancreatic gland which you may know as a cheesecake. It’s a dessert that will appeal to their target market; sweet base, sweet cheese mixture, sweet topping. I am twenty years too old to be put through this. We take one between the two of us and manage a spoonful each. Stick to the chai which is a milky kiss of warming spices. I hate comparisons but there is a direct one that I feel is necessary to mention here. For me, Zindiya is the present leader of this type of restaurant in our city. I understand that they are looking to expand and roll-out to other cities, which was never in their initial plans, but one that has happened organically based on the success of the business. Tamatanga gave the impression that has been designed to be rolled-out from the start. 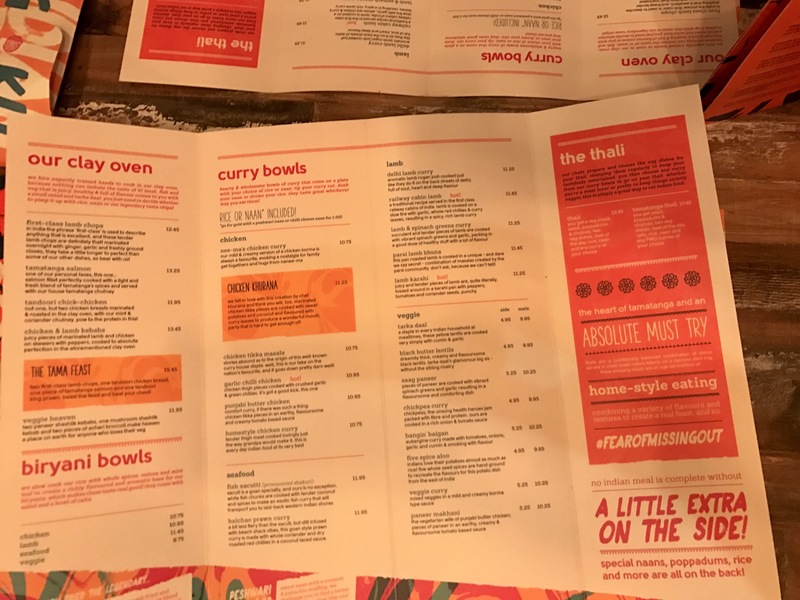 It’s brash and heavily marketed – the Indian Turtle Bay that I mentioned earlier on. It’s just not very good, and I hate to break this to them, but that should be the starting block for anything. Others will no doubt lap it up, but it is never going to be for me. I was the guest of someone invited and therefore did not see a bill.